If you never played one of the most popular and addictive game in the world known as Angry Birds, don't be sad! Finally this game has come to Facebook and all you need to have is an account and wish to play. If you already love it, then good luck with it on your Facebook! The task is simple: get rid of the pigs. The complacent pigs are blocked by wood, glass, stone or another material arranged into creative structures. 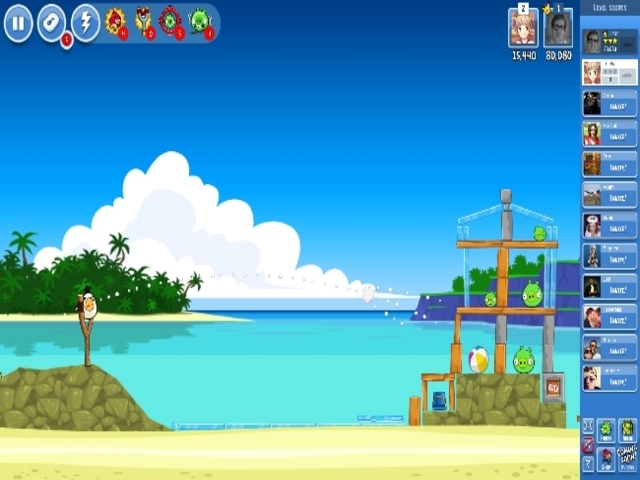 You will need to use the angry birds to get rid of both the obstacles and pigs! Play Angry Birds on Facebook, have fun! 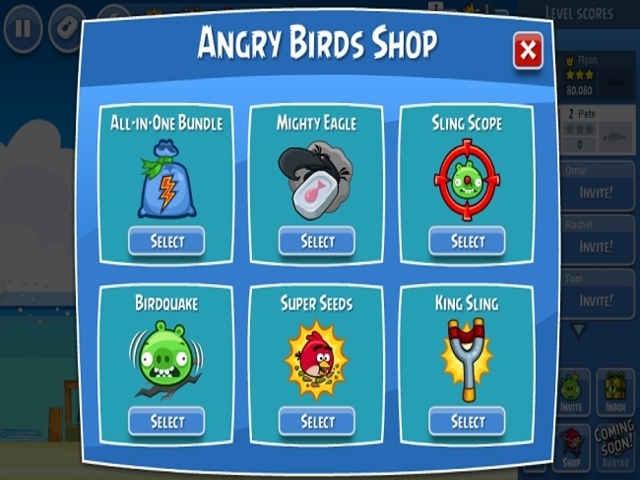 Title - Angry Birds online game on FaceBook: overview, walkthrough, cheats, tips and tricks Description - Here is Angry Birds, a game elaborated by Rovio. Watch the battle between the birds and the pigs! 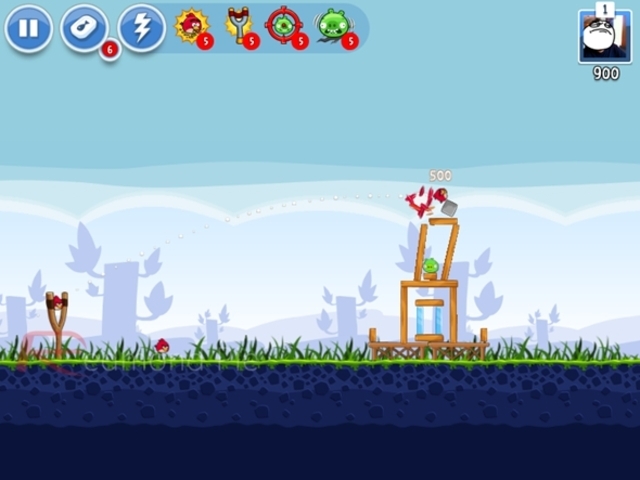 Catapult Angry Birds into the pigs towers, get rid of them!